The experience of the last 20 years suggests there are four obstacles to ensuring accountability in social protection programmes. The first obstacle has to do with social protection’s contested status: is it a right or only a service or a favour? Despite international legislation about social protection as a human right, several countries are designing social programmes only as a service (provided by public or private actors) or, in the worst cases, as a personal favour from generous governors. The recent international financial crisis, and the unfair context in terms of income inequalities between countries, has weakened the status of social protection as a right around the world. Even in Europe, welfare states and their respective social protection policies are being questioned. Considering social protection as a service or a favour and not as a human right hinders the relationship between rulers and ruled: it is difficult to hold a person accountable who is doing a favour. The second difficulty is related to the opacity and discretionality of public (and private) actors in implementing social protection programmes. There are too many disincentives to ensuring transparency, including the possibility of extortion or bribes in return for delivery of and access to programmes. It also includes political use of social policy and electoral return. The lack of transparency has the effect of maintaining and actually increasing the power gap between rulers and ruled: if you do not have clear rules with respect to receiving a pension, cash transfer or school grant, and the operation of these programmes is not transparent, you cannot claim your entitlement without putting it at risk. The third obstacle pertains to the lack of interest and indifference from citizens with respect to monitoring their government (or those responsible for implementing social protection programmes) and holding them accountable. Not only do they face a lack of information and opacity of the programmes, their public presentation as favours to poor or marginalized people (not as rights that all people hold, regardless of class, gender, race and so forth), but there is also pervasive uncertainty amongst the public with respect to how exactly any given social protection programme is supposed to operate, including who receives entitlements from the programme and the rules about complaints and remedy. Lack of information limits the scope for effective accountability. People most in need are prevented from knowing how to monitor and control in practice. There is little to no knowledge transfer from the authorities to the public with respect to how things happen, where or how to submit a complaint, or how to write to a deputy or administrator to see if she or he can do something. Finally, disinterest from citizens in the lack of transparency of programmes, and the idea of these are not rights, create a kind of vicious circle. In several countries, at ground level, if you are lucky enough to receive benefits from a social protection programme, you are receiving personal favours from the government, you are prevented from knowing how the programme is supposed to operate, you are at the mercy of bureaucratic discretion, and you do not know how to complain. This represents more power for the leaders and more weakness on the part of the public in terms of demanding accountability. Because of that, the roles that civil society can play in ensuring accountability in social protection are key. Firstly, several civil society organizations (CSOs) are struggling to expand the human rights approach, including applying it to social protection programmes. To do this they advocate for an adequate legal and institutional framework and also try to ensure that government actors respect the principles of equality and non-discrimination by guaranteeing effective transparency, public participation and overall accountability. Secondly, collective action by CSOs and social movements can thus be a very useful ally in ensuring that a rights-based approach is built into the design and implementation of social protection programmes, at national, international and local levels. In this sense, international CSOs such as International Budget Partnership and Global Integrity push for more transparency in social protection programmes around the world, using rights-based approaches. But at national and local level, CSOs, social movements and collective action in general, are key actors to sue for and promote transparency and access to information in social protection programmes as the citizen’s right. Maybe the third role of civil society is the most important these days: CSOs and social movements in general can push to transform accountability related to the most pressing problems as they arise in local settings. It is fundamental to include more social actors in the processes of building and implementing social programmes, especially in the context of facilitating the awareness of rights-holders and cultivating their ability to hold duty-bearers accountable. In this respect, local and subnational actions are essential: We need to transform private irregularities into public problems, share information about social protection programmes, and monitor public action. New technologies can be added to the more classical repertoire of contention in order to interest more people in taking part in vigilance over and control of social programmes. The impact of civil society can break the vicious circle, but several requirements are needed. The most important is to have autonomous organizations with the capacity to work jointly and mobilize people. With weak civil society organizations it is difficult to overcome the difficulties. Fostering strong, autonomous organizations takes time, confidence and support from society, both locally and internationally. A strong civil society helps foster capable governments. If a government does not have the capacity to implement policies, citizens will not enjoy adequate and effective social protection programmes, and their human rights become vulnerable or even compromised. It is best then if organizations and social movements work under the same banner. And adopting a universal human rights approach that promotes equality and dignity for all peoples remains the best option. 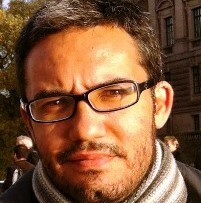 Felipe J. Hevia is a researcher at the Center for Research and Higher Studies in Social Anthropology (CIESAS) in Mexico. His research interests are social protection, participation, education and social accountability. He has won prizes for his studies in Brazil and Mexico including the Stephen P. Koff Prize from RISC (2009), and first place in National Studies in Bolsa Familia Program, UNDP (2010). He is the author of “Power and Citizenship in the Fight against Poverty: the case of Progresa/Oportunidades in Mexico” (Peter Lang, 2011); “Measuring participation? Creation, validation and application of the questionnaire Participation Behaviors” (CIESAS, 2012); and “Petitions, Protests and Participation. Analysis of Society-Government Relations in Education in Veracruz in the Early XXI Century” (CIESAS, 2014). He has a Ph.D. in Anthropology (Mexico).